Hardly a week goes by where I don’t see or hear from someone asking “how much is my photo worth?” because they have been contacted by someone like Schmap who found their photo on flickr, and they want to use it without paying you anything more than a photographic credit. It happened to me, and since it was just a simple picture I took when I was at the zoo with my kids I thought – what they heck, why not? However, I quickly began to realize I was fueling a growing problem that is destroying the full-time pro photography industry. A common trend these days in this tight economy is for ad agencies, magazines, etc… to troll sites like flickr trying to find photos that are “good enough” for what they need, and then try to get the rights to use them for way below the market rate. Sadly, most new photographers are so honored at the thought of getting published that they simply give their photos away. This practice has hurt the full-time pro photography industry because they now find themselves competing with “free” and that’s resulted in a lot of photographers going bankrupt or having to change professions. There are even rumors that big agencies that charge large sums of money for photo rights taking advantage of these people by trolling popular photo sites and gaining rights to photos for mere pennies. In fact, even respected publications such as Newsweek, Time and National Geographic have been rumored to pay significantly less than the market rate to acquire rights to photos that would have in the past been provided by full-time pros. I think most people would argue that much of the photo giveaways are primarily due to people just not being aware of what their photos are worth. Since these photos aren’t their primary source of income there seems, apathy sets in and it is easier for people to just give them away. However, if you stop and think how much you paid for all of that photography gear that you’ve accumulated, you might think twice when you find out how much pros are getting for their photos. In fact, by charging a fair rate for your photos you not only help yourself, but you help the industry as a whole by allowing pros to continue to earn a fair wage for their full-time profession which includes overhead for things like insurance, assistants, marketing, office space, and more. 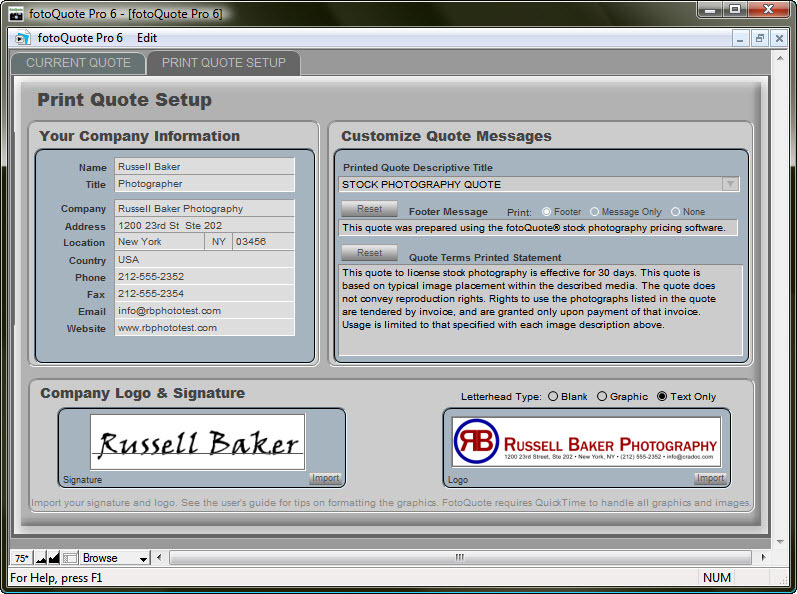 fotoQuote is a database of media formats where photos and videos might be used along with prices for a given time frame and rights offered for the use of a particular photo or video. 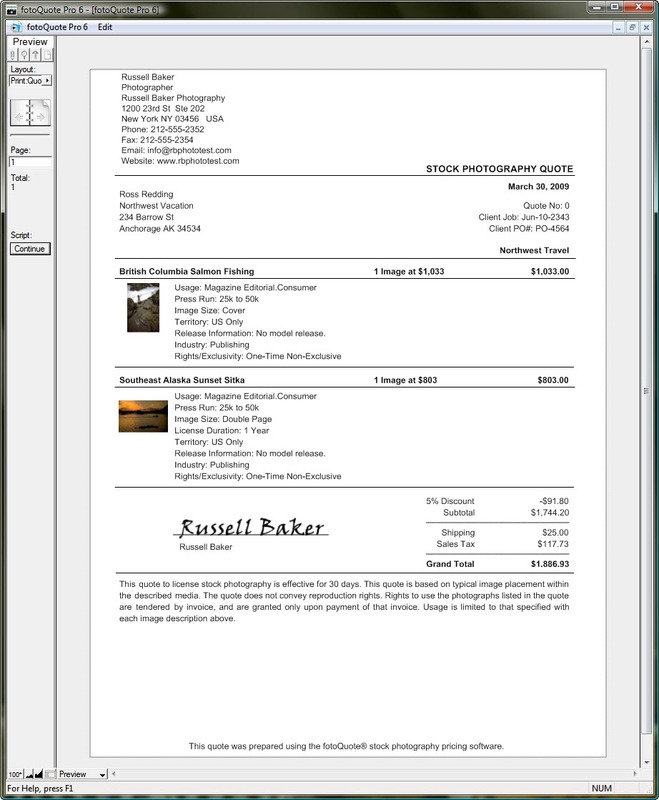 The whole subject gets rather complicated, so it is common for people to just ask you for full rights to your photos to “make things simple”, but the reality is that usually its the photographer that gets screwed in that scenario as you may no longer be able to use or sell your own photo. 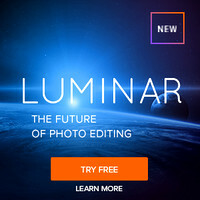 This is where this tool is invaluable because it offers usage tips, coaching, and details about the rights granted for a photo based on experience from industry pros. The database stays up to date from pros in the field offering feedback back to fotoQuote on the going rates. Let’s say your approached by an agency that wants to use your photo in a magazine advertisement. You might start by going to the Magazine Database to find out how how much the going rate is for an ad, which in the case below you’d see that ad prices are in the 5 figures. With this being the case, it is quickly to see why it is crazy for you to give your photo away for free when the company that uses it is willing to pay significantly more for space in a magazine! In the end a complete novice selling his or her first photo can produce a quote that makes them appear like a pro that has been doing this for years. The net result is that you can protect your rights to your work, yet profit from well defined usage of your work to a client. Your clients will be used to this type of proposal, so when you share one of these quotes they are more likely to stop trying to bargain for an unfair price and do business. You can see more screen shots here, and watch a great demo video here by Cradoc himself where he explains the user-interface in-depth as well as how to use some of the advanced features. 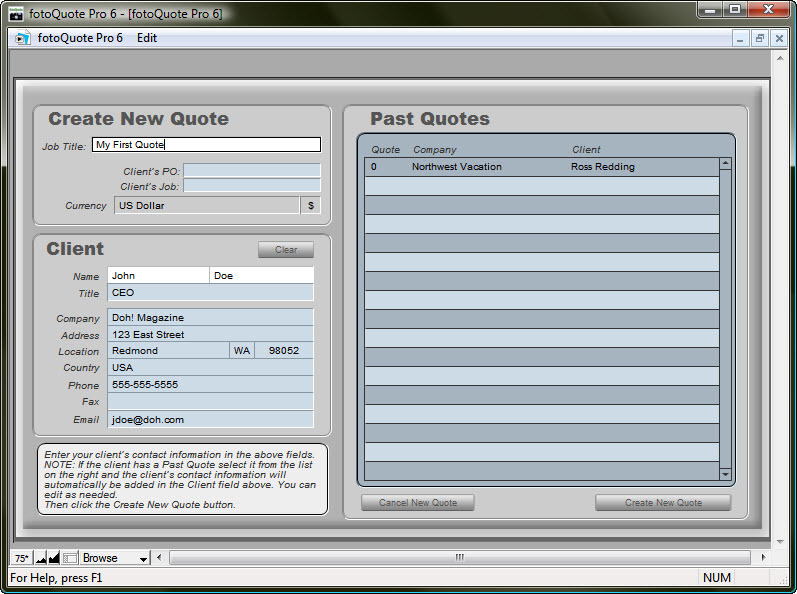 This program is simply amazing because it gives you the power to provide detailed quotes on things you may have never even known existed (i.e., Buckslips, Rip Hangers, etc…) using industry terminology and accurate pricing. 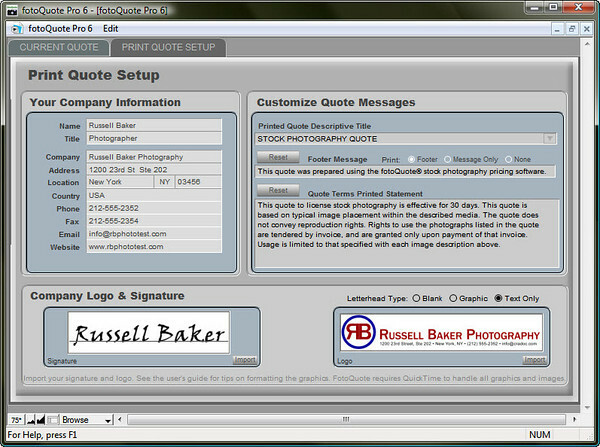 Not only can you quote for US customers, but this product has been designed to also allow quotes in other currencies. In addition, you can account for travel or high risk scenarios where you are providing a quote to do a specialized shoot. With things like usage tips and the assignment coach, anyone can go from being clueless to well educated on how to provide a proper professional quote. In addition, if you land a job and get paid a rate that is different than what is listed in the tool then you can provide pricing feedback which helps others to benefit from your experience. 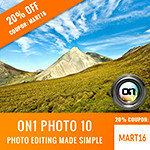 The service provided by this product is invaluable for the beginner and its price is easily recovered on your first image sale because you’ll quickly find that pretty much anything you sell will cost more than the price of this product. I highly recommend it! Click here to get 10% off all Cradoc software products just by using the discount coupon code found on the Discount Coupon Code page. Publisher: Hey, we’d like to use one (or more) of your photos in our publication. Could you send us (a) high resolution version(s)? Publisher: Uh, we don’t really have any budget so could you just email them to us? Me: Hum, well my gear wasn’t free and my training, etc… wasn’t free. Tell, you what – I understand that times are tight – why don’t you just give me the same exact amount of space that you’ll use for my photos elsewhere in your publication (with the same level of prominence) and I’ll resell that space myself. 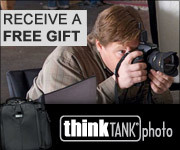 You’ll get free images and I’ll make money to pay for my gear, time, etc… using your ad space. Publisher: Oh, we didn’t realize you were a REAL photographer. I’m so sorry. Well, we can’t do that, but we can offer you $100 for all of your photos (that we want to use – with non-exclusive unlimited usage rights). Me: Hum, well $100 sounds nice but that doesn’t really pay for much in the photography world these days. 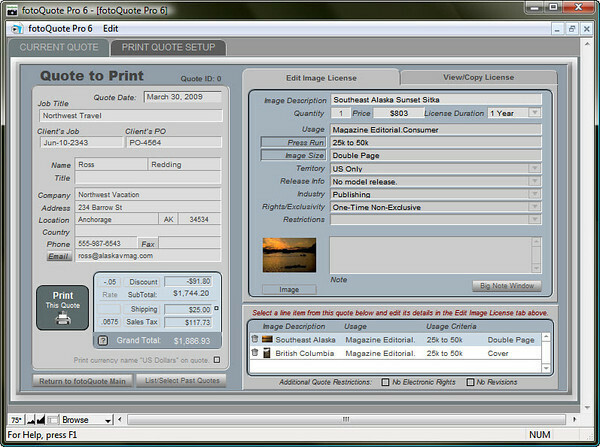 I see here (using fotoQuote) that an average quarter page one issue usage right fee for my image should be about $xxxx (amount varies from hundreds to thousands most often). Publisher: Huh? We never pay anybody that much! (or we haven’t paid that in years). Me: Well, if that’s the case then you should be able to give me a fair rate. Send me an email with the photos you want and I’ll give you a quote with the best price I can do and we can take it from there. Publisher (via email): We got your quote and that’s more than we can afford. How about we use picture(s) X (and y …) at any size we want for as long as we want and we pay you $300? Me (via email): Hum, that’s still pretty low and it doesn’t meet the terms of my quote so I’m afraid I’m going to have to say no. If your budget improves or if you have a more fair offer then I’m happy to work with you. Publisher (via phone): Tell you what, here’s the max of what we can do using your terms. We didn’t realize that you were a real working pro so we didn’t tap into our real budget for the first quote. My apologies for that, but times are tough so we had to do what we had to do. Me: Hey, no worries. That deal is much closer what is a reasonable price and its one that I can live with (using figures here we are talking about $500 per image at a quarter page per image for one issue for a typical mid-size publication with no web rights). I’ll send them over once I have a signed agreement, let me get that to you now updated with our agreed upon prices. Publisher: Awesome, it was great doing business with you. Me: Me too, and I’d love it if you could send me a PDF of the article you run too so I can have that for my tear sheet file. Yes, this means I have walked away from a few hundred bucks here and there. I’ve walked away from A LOT of “let me use your photos for free” offers, but I don’t lose sleep over not having my photo published by someone making five figures for advertising in the space my photo would occupy in their publication (which is being used to sell their product). In the end though, my net income was more off one publication than all the lost publications combined. I’ve also had requests for more photos from these same paying publications, but none from the ones who wanted my photos for free so did I really miss out on anything? Yes, I’ve also had to wait up to a year before all of the payment was settled (about 60 – 90 days in the US, but overseas is a hassle). However, everyone has always paid as promised. Some seasoned pros say don’t turn over photos until you are paid, but these days you’ll get about one gig a year if you are lucky if you do that (at least based on my experience). That’s just not the way things are done in the electronic era anymore (because petty cash days are over). My gear isn’t free and it won’t pay for itself if I don’t stick up for myself. My time is also worth something, so you’ve got to stick to your guns if you want to make anything. People become so enamored with the idea of seeing their photo in print that they cave in too early while the publication makes a fortune off your hard work. These publications aren’t charities or else they probably would accept your offer for photos for advertising space, so keep that in mind when playing hardball. Good photographers are losing their livelihood over amateurs giving their work away for free, so don’t think bad of yourself for asking a fair wage – think about the good you are doing by getting a publication to pay an honest rate. If you do feel guilty then donate the money to your local photo journalist or freelance photographer – they need the money these days! 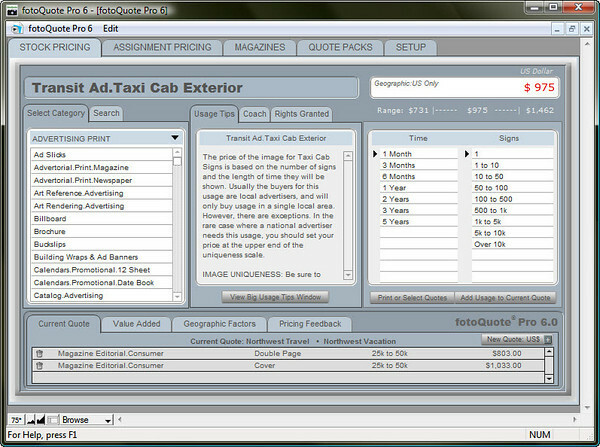 Another feature is the ability to add in your own ‘multiplication factor’ via Pricing Feedback – i.e. ; update the pre-defined prices higher or (gawd forbid!) lower based on your own assessment of where you fit in the market. This is particularly useful when clients ask for various usage scenarios; you can quickly and easily gauge how various usage packages can change the overall usage fee. Fascinating. Thank you for sharing. $30 for a Time cover image - wow!!! nice idea but the unfortunate reality is that those who troll for free images will most always move on to someone else on the web who will provide a "free" photo if the first or second or third person asks for money. What have you lost if a troll/thief goes elsewhere to steal photos or get them for free? 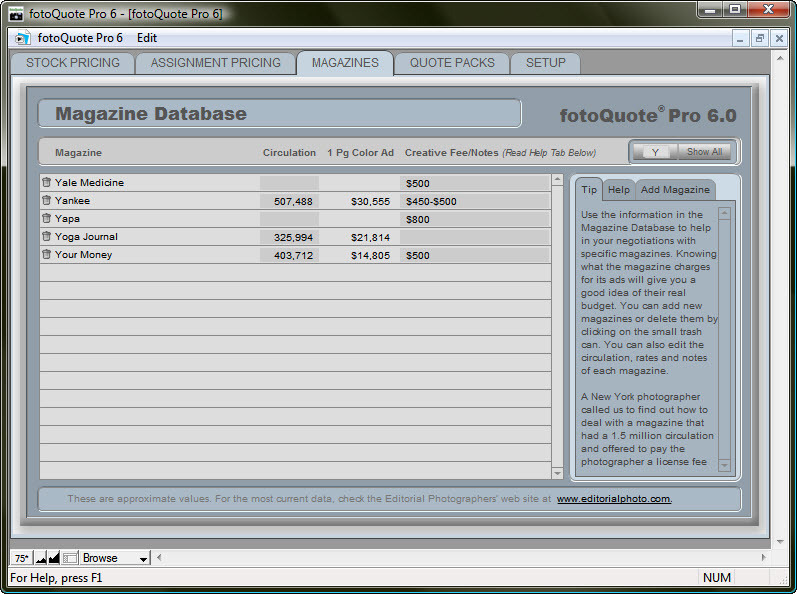 Yeah, I've had plenty of magazines or other publications say that my price was too high (or asking to use them for them free) after consulting fotoQuote, but I've had some of the same magazines come back and pay me the price after I said "no thanks, that's my price". I had two editors admit that in tough times they are used to winning when they play hardball and say that it's free or they won't publish, but the reality is that good publications still have budget to acquire photos - they just save that budget for "real photographers" (their words - not mine). 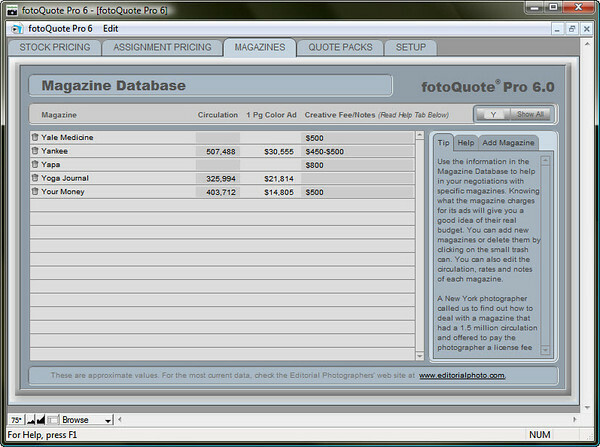 I had one magazine that I wanted to be in REALLY bad ask me once to use the photos for free, and I said no - it's $2500 (based on data I got from fotoQuote). They then said, we can't do that but I'll ask. A week later they came back and said - we'll give you $100, and I said, no my price is $2500. They said no, we can't do that and didn't call back for another week. On the final call they said, hey we didn't realize you were a real photographer so can we do X for $2500. While that ended up being a slight discount because it was larger sizes than I had quoted, I agreed and we were both happy. In fact, they even said they looked forward to seeing my future shots and working together again. On the other hand, I had famous magazine label based in Vietnam tell me they wanted my photos for free. I said the same thing as above and they never called back. I don't think I lost anything and have no regrets. I can say that without fotoQuote I probably would have accepted the $100 or would have negotiated for about $300 - which would have been a steal for them AND they would have known I wasn't "a real photographer" (again, their words). Very well written article - lots of objectivity and answers many questions about not only the software but the subjective issue of pricing and tagging as well.